V-22 Osprey: Wonder Weapon or Widow Maker? 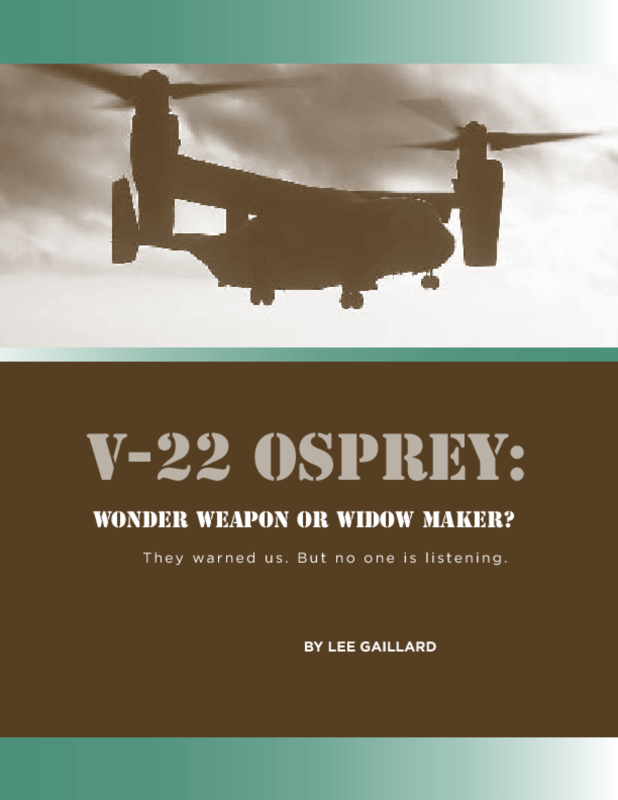 Straus Military Reform Project Adviser Lee Gaillard provides an in-depth analysis of the glitch-plagued V-22 Osprey aircraft in his new monograph, "V-22 Osprey: Wonder Weapon or Widow Maker?" Title: V-22 Osprey: Wonder Weapon or Widow Maker?